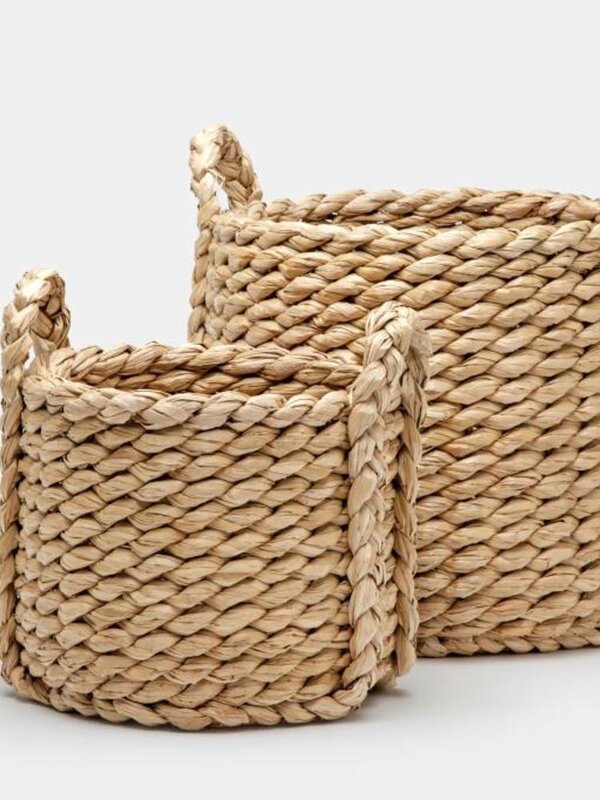 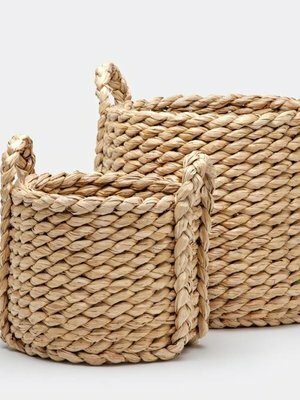 Simple casual storage made of sturdy organic fibers, this large sized woven basket with handles will fit nicely in any room holding from towels to toys. 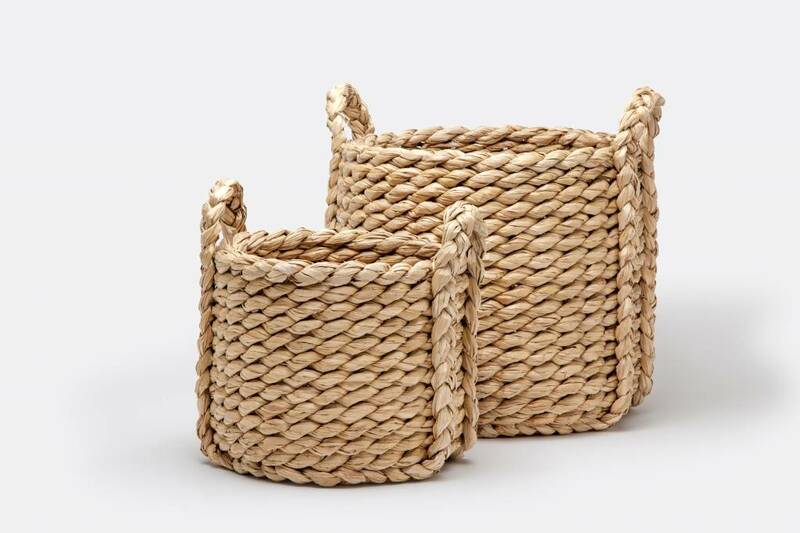 Approximately 24" in Diameter, medium basket is approximately 15" in diameter. 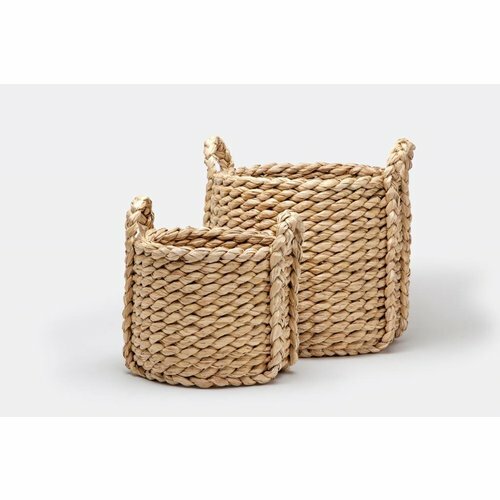 Available in two sizes see our related products for the medium sized basket.